ISB Placement 2019: The graduating ceremony for the PGP batch of 2019 was held on April 5, 2019, for the students of ISB Hyderabad and they not only received their diplomas for Post Graduate Programme in Management (PGP) but also received 1301 placement offers in hand at high salary packages much before the ceremony. The Average CTC of INR 25.09 LPA recorded at ISB is highest so far. This placement season saw a 16% growth in the number of offers made compared to the previous years’. Around 35 entrepreneurs are venturing on their own and opted out of the ISB placement process. ISB follows the concept of ‘Rolling Placements’ which is a lateral hiring process spread over several months, giving both the recruiters and students time to find their best fit. During this period, the B-school supports and encourages the students in their independent search efforts to find their preferred careers. Through these various options, the B-school aims to provide students with more offers as well as a variety of roles to find their best match. Click here to know more about IIM Calcutta Placement 2019. Average CTC offered goes up at INR 25.09 LPA. 35 students opted out of the placement process to pursue Entrepreneurship. Placement offers in 2019 accounts for 16% growth compared to last year. Total number of offers increased to 1194 from 1136 last year. Batch size increased to 886 from 816 last year. Out of the total offers, 35% offers were for 306 women students. 29% increase in the number of recruiters. Consulting, IT/ITES, E-Commerce, and BFSI sectors accounted for major recruitment. Deloitte, Accenture, Amazon among the others made more than 15 offers. Amazon, Bain, LEK Consulting, McKinsey, BCG, Deloitte, Flipkart, Google, HDFC Bank, Microsoft, Oyo Rooms, Reliance Industries, Uber, Rivigo, Samsung reported their largest single-campus placement from ISB. Barclays, Citibank, ICICI Bank, Credit Suisse, HSBC, JP Morgan, and Matrix were the prominent recruiters in BFSI sector. Apple, E&Y, GrabTaxi, Li, and Fung were the top international recruiters who hired for locations in the Middle East, Hong Kong, North Africa, and Singapore. Bizongo, Cars24, Magicpin, Paytm, Shuttl, Swiggy, Udaan.com, and Zomato also were the major Startups participating in ISB Placement 2019. Click here to know more about IIM Lucknow Placement 2019. PGP Class of 2019 at both the campuses of Indian School of Business (ISB) at Hyderabad and Mohali has 883 students. While the ISB Hyderabad campus has 598 students and 285 students at Mohali campus. Companies across various sectors continued with the trend of hiring ISB students in large numbers for their prestigious Leadership and Management Training programs. Women students at ISB have comprised more than 30% of the class for the last many years and the Class of 2019 continued the trend. Women students fared exceptionally well both in terms of offers received as well as roles. Besides Sales and Marketing, some of the top FMCG giants picked up lateral talent from ISB in functions such as Supply Chain, Operations, Strategy, Finance, and Human Resources. Consulting, Sales & Marketing and General Management/ Strategic Planning were the three most preferred areas for ISB graduates. 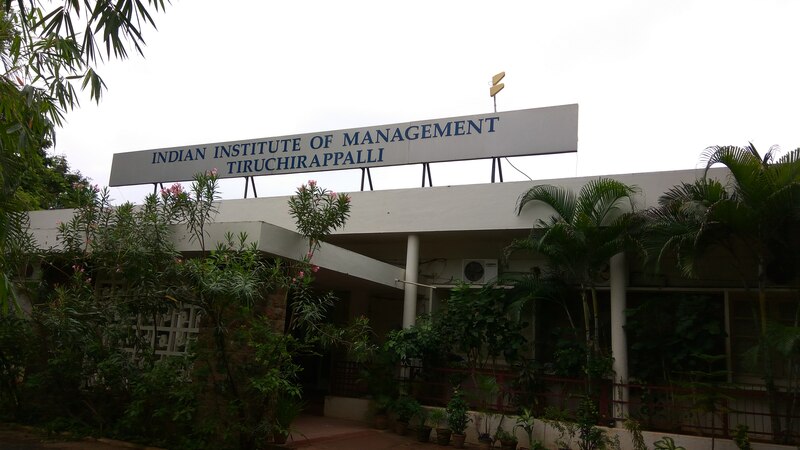 Click here to know more about IIM Trichy Placement 2019. The need for high-quality management professionals at every level in the Indian Businesses is ever increasing. World-class management education at this B-school provides the platform for a transformational and impactful career. ISB is one of the best and largest provider of Executive Education in Asia. And is considered as the most research-productive Indian management institution. Indian School of Business is a global business school offering world-class education across its two campuses- Hyderabad and Mohali. The school has grown at a rapid pace since its inception and has several notable accomplishments to its credit. It is the youngest school to consistently rank among the top Global MBA programmes. Also, one among the select 100 global B-schools to have AACSB and EQUIS accreditation. A vibrant pool of research-oriented faculty, strong academic associations with leading global B-schools and backing of an influential Board, have helped ISB fast emerge as a premier global B-school in the emerging markets. Click here to know more about IIM Amritsar Placement 2019. 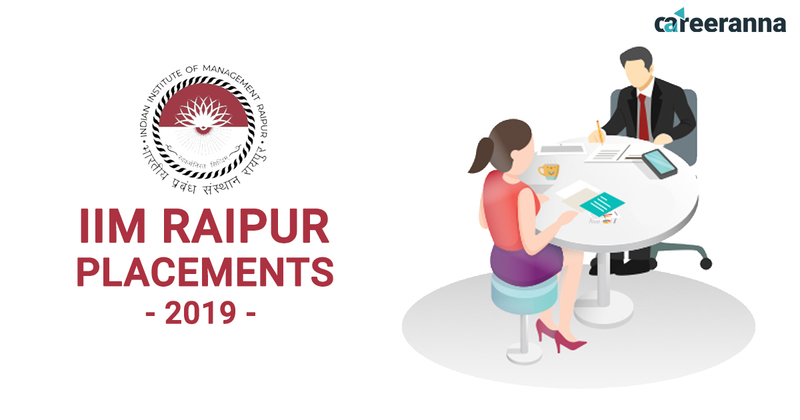 IIM Raipur Placement 2019: IIM Raipur has concluded the final Placement 2019 with 150 recruiters participating in the placement process. Average CTC offered in IIM Raipur Placement 2019 has gone up at INR 14.53 LPA from INR 12.45 LPA last year. Highest CTC has also gone up to INR 24.06 LPA in 2019 from INR 22.05 LPA last year. 150 Companies from varied domains reinstated their belief in IIM Raipur, owing to the diversity in academic background and work experience of the students. Backed by strong industrial relations, the placement season for the PGP batch 2017-19 witnessed overwhelming participation from the previous recruiters along with a host of 50 new recruiters. Despite its large batch size of more than 200 students, IIM Raipur has recorded a sharp hike in the Highest and Average CTC offers in Placement 2019. Diverse roles across the domains were offered by companies in BFSI, Consulting, IT/ITES, Manufacturing, and Analytics among other sectors. After the implementation of IIM ACT 2017, IIM Raipur has started to confer MBA degree to its students of flagship 2 years PGP programme instead of the Post Graduate Diploma. The PGP Batch 2017-19 at IIM Raipur was also awarded MBA degree. It will help the students to explore higher education opportunities in International Universities who require a MBA degree in place of a diploma. IIM Raipur Placement 2019 took place for the PGP Batch 2017-19. Average CTC up at INR 14.53 LPA in 2019 from INR 12.45 LPA last year. Highest CTC up at INR 24.06 LPA from INR 22.05 LPA last year. Average CTC for the top 25% of students is INR 18.56 LPA. Top recruiters included Adfactors PR, Accenture, Cognizant, Deloitte, Indigo, Mahindra Logistics, OYO, and TAS. The large batch size at IIM Raipur was no deterrent in the IIM Raipur final Placement 2019. On the contrary, IIM Raipur witnessed its regular recruiters coming back along with 50 new recruiters participating in the IIM Raipur Placement 2019. The institute continues to ride high on its strong relationship with the corporates from India and abroad, and organizations from different sectors expressing interest in recruiting students from IIM Raipur. The batch of 2017-19 consisted of students from diverse academic backgrounds and work experience. 150 recruiters showed interest in the IIM Raipur placement process. The highlight of this season was the participation of 50 new recruiters with whom the institute anticipates building a sustainable relationship. The Institute’s legacy of being a preferred destination for the corporate for talent acquisition continues to be the characteristic feature of the fast-growing IIM Raipur. Some of the top recruiters who made offers in IIM Raipur Placement 2019 includes Adfactors PR, Accenture, Cognizant, Deloitte, Mahindra Logistics, Neilsoft Ltd, Feedback Infra, GP Global, IndiGo, OYO Rooms, TCNS Clothing Co., and Tata Advanced Systems Ltd.
BFSI 14.98 24.06 Axis Bank, HSBC, ICICI Bank, Bank of America, HDFC Bank, ICICI Prudential, IDFC Bank, Motilal Oswal Group. Strategy/Consulting/Analytics 15.26 19.86 Deloitte, Indigene, Accenture, Decimal Point Analytics, Latentview Analytics, Tredence Analytics, Tiger Analytics, and ZS Associates. Manufacturing 14.70 17.86 Amara Raja, Hero MotoCorp, L&T, Panasonic, Jindal Steel, REC, TATA Steel, Vedanta, Aditya Birla, Vguard, and UltraTech. IT/ITES 14.26 17.51 Accenture, Genpact, IBM, Cognizant, Deloitte, Indigene, IndiaMART, VMWare, and Wipro. IIM Raipur was set up by the Government of India, Ministry of Human Resource Development in the year 2010 at Raipur, the capital of Chhattisgarh. Chhattisgarh is one of the fastest growing states in India with its rich mineral, forest, natural and local resources. 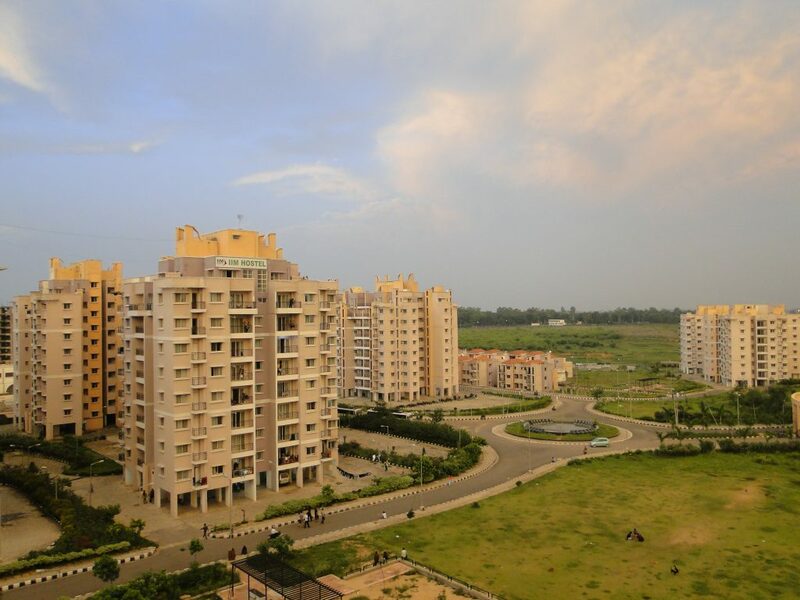 At present, IIM Raipur operates from the Government Engineering College Campus, Raipur. The Government of Chhattisgarh has allotted over 200 acres of land for IIM Raipur campus which is under construction in Naya Raipur. The construction of the proposed campus is to be completed shortly. The new campus will be the state-of-the-art campus presenting a blissful mix of modern architecture, culture & heritage of Chhattisgarh. IIM Amritsar Placements 2019: IIM Amritsar has successfully concluded the final Placement 2019 for its third PGP batch of 2017-19. Highest CTC offered has gone up to INR 21 LPA from INR 17 LPA last year and Domestic Average CTC has increased to INR 12.20 LPA from INR 11.02 LPA last year. 52 companies participated in IIM Amritsar Placements 2019. Not only it has broken its past record and surpassed the salary packages of its second batch but despite the large batch size of 100 students, the institute has achieved 100% placement with much higher offers that many well established top MBA colleges have not been able to achieve. In comparison to last year, there has been substantial growth in key metrics related to the final placements figures. Because of the high interest from the recruiters based out of India, the students found far more opportunities within the country this year. Average CTC (Domestic) up at INR 12.20 LPA from INR 11.02 LPA last year. Highest Domestic CTC up at INR 21 LPA from INR 17 LPA last year. 52 Total Companies participated in IIM Amritsar Placements 2019. Top Recruiters included Accenture, Apollo Munich, CRISIL, Deloitte, GroupM, HDFC Bank, ICICI Lombard, KPMG, and Motilal Oswal. The highlight of this year’s placement was a substantial increase in the Highest CTC offered from INR 17 LPA to INR 21 LPA. In addition, students from the batch received attractive offers. Domestic Average CTC of the batch increased to INR 12.20 LPA from INR 11.02 LPA with an increase of INR 1.08 LPA from the previous year. The median for the present batch also saw a considerable upward increase from INR 10.5 LPA to INR 12 LPA this year. The relevant knowledge, skill, and diversity of the students attracted recruiters from various sectors spanning across all the prominent domains of management including Marketing, Finance, HR, Operations, Consulting, IT analytics and General Management. The institute hosted more than 52 recruiters including many first-time recruiters. The prominent recruiters this year included Accenture, Apollo Munich, CRISIL, Anand Rathi, Deloitte, GroupM, ICICI Lombard, KPMG, HDFC Bank, Motilal Oswal, Tata Teleservices, Thomas Cook, Trident and many more. In terms of the participation of industry, BFSI, IT/ITES, Consulting, Telecommunications, Consumer Goods, Advertising Media, and others were the major recruiting sectors from the industry. The students of IIM Amritsar under the mentorship of IIM Kozhikode performed well in their education. And achieved well-deserved placements proving once again that IIM Amritsar stands differently among the newer generation IIMs. Like previous year, IIM Amritsar had a large batch size of close to 100 students once again this year, which resulted in addition of new quality recruiters to the existing placement contacts. Click here to know more about IIM Lucknow Placements 2019. 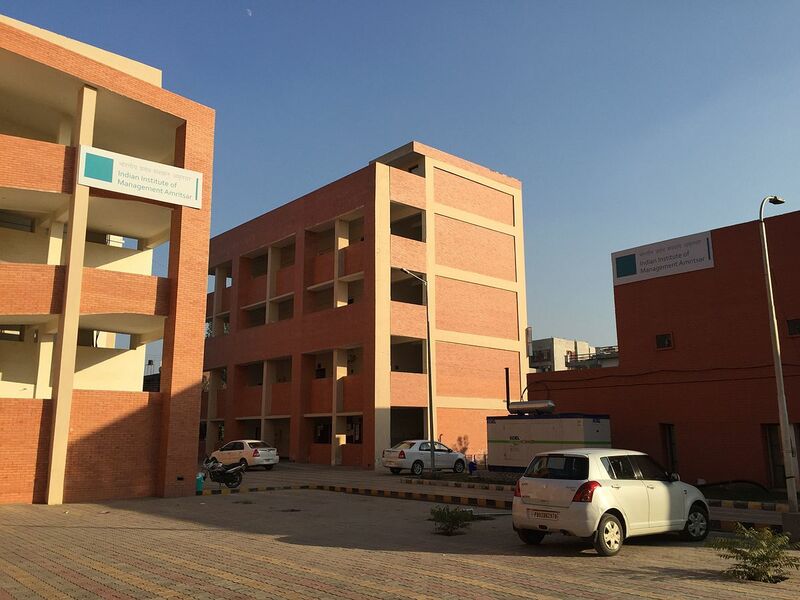 IIM Amritsar started its operation in the year 2015 with 45 students in its 1st batch. The second batch at IIM Amritsar with 104 students was the largest among all the newest IIMs. The successful completion of Placement 2019 for the third large batch at IIM Amritsar reflects its industry and corporate acceptability. IIM Amritsar is the 15th Indian Institute of Management set up by the Ministry of Human Resources Development with the support of Government of Punjab in 2015. The permanent campus of the institute is being set up under the direction and mentorship of IIM Kozhikode. Click here to know more about IIM Trichy Placements 2019. IIM Sambalpur Placements 2019: IIM Sambalpur has concluded the final Placement 2019 for the third batch of PGP 2017-19 with Highest CTC offered at INR 58 LPA by Tolaram Group. Average CTC for the batch stood at INR 9.33 LPA. The batch size of the third PGPM 2017-19 at IIM Sambalpur has gone up to 60 students from 48 students as that of last year. The Highest CTC offered in IIM Sambalpur Placements 2019 has left behind many older IIMs and other top MBA colleges in their top salary packages in placements 2019. Highest CTC offered: INR 58 LPA. Average CTC for top 50 percentile: INR 12.04 LPA. Average CTC for the batch: INR 9.33 LPA. Top Recruiters included Tolaram Group, Deloitte, HDFC, SBI Life, and Vedanta among others. IIM Sambalpur has recorded an Average CTC of INR 9.33 LPA with the top quartile of the batch bagging offers at an Average CTC of INR 15.32 LPA. The placement season saw prominent recruiters from various domains making offers to the students. The list includes past recruiters as well as the new recruiters. Major recruiters from sectors like IT, Business Consultancy, FMCG, BFSI included Tolaram Group, Vedanta, SBI Life, HDFC, Motilal Oswal, Deloitte, and Tata among others. IIM Sambalpur students were offered key roles including AGM Marketing, Consultant, Equity Research Analyst, Executive Assistant to CEO, MGT – Global Alliance, Sales Manager, Young Professional, Management Associate, Relationship Manager, Management Trainee, Management Trainee-Marketing & PR, Management Trainee-Sales Planning, Area Manager, Assistant Manager, Business Development Consultant, Business Analyst, and Business Development Manager among others. The IIM Sambalpur campus is located in the State of Odisha and was announced by the Government of India in the Union Budget 2014 along with 5 other IIMs. It commenced its operations from 2015 with its first PGP batch comprising 49 students. 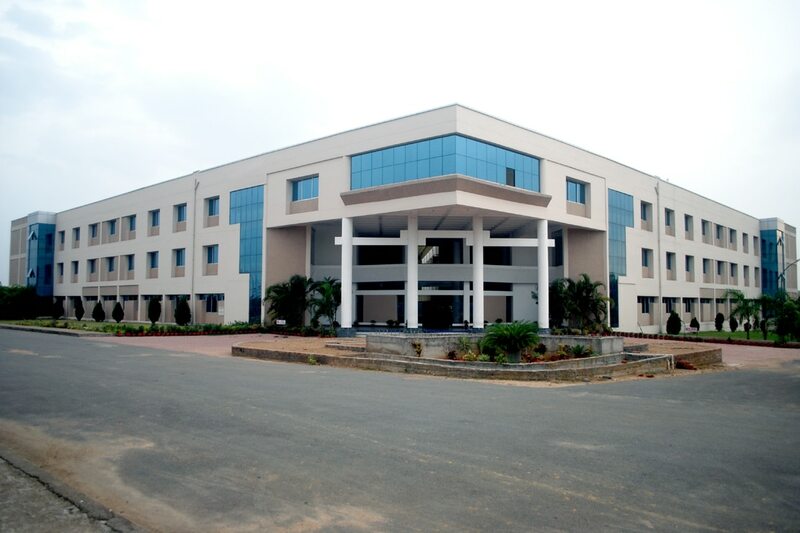 IIM Sambalpur as of now operates from the temporary premises at Silicon Institute of Technology, Sambalpur. The premises are equipped with hostel accommodation, Wi-Fi enabled campus houses, Academic building, the classrooms, hostels, and the auditorium. The library offers an extensive collection of physical and digital resources comprising books and e-books, print and e-journals and various other materials. The hostel block also accommodates the mess, 24×7 cafeteria, Health care centre and gym which are under construction. The students at IIM Sambalpur are getting the best learning experience and placement opportunities as IIM Indore is mentoring all the activities at IIM Sambalpur. The overall design, quality, and delivery of PGP course is in accordance with the standards and with the direct involvement of IIM Indore. Students at IIM Sambalpur have the opportunity to get learning from some of the best faculty members in the country today. IIM Sambalpur academic experience combines the case study method supported by a team of high calibre faculty, and a tight-knit learning environment with close ties to the industry to develop competent leaders. The work culture and environment along with the state of the art infrastructure makes IIM Sambalpur one of the best and unique places for knowledge, acquisition, dissemination and entrepreneurial experimentation. 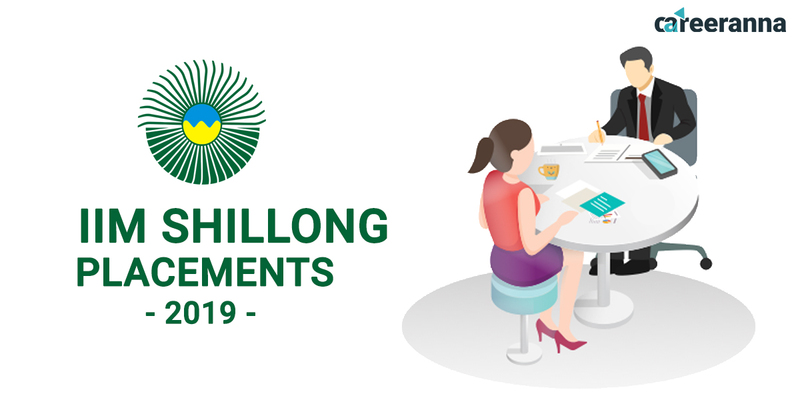 IIM Shillong Placements 2019: IIM Shillong has concluded the Placements 2019 achieving 100% placements for its largest batch size of 177 students. Average CTC has gone up at INR 16.79 LPA from INR 15.5 LPA last year and the Highest CTC at INR 28 LPA from INR 26 LPA last year. After the implementation of IIM Act 2017, the PGP Batch 2017-19 at IIM Shillong is the first batch receiving the MBA degree instead of earlier diploma. Placements 2019 at IIM Shillong is marked with increased salary offers by recruiters from all the sectors and making offers with diverse roles and profiles. Standing true to its legacy, IIM Shillong has once again emerged as the most sought after campuses for recruiters as testified by the successful completion of the Final Placements for the batch of 2017-2019. Despite increase in the number of participating students in IIM Shillong Placements 2019 to 177 from 169 last year, IIM Shillong has fortified its position again as a premier B-school. Average CTC up at INR 16.79 LPA in 2019 from INR 15.5 LPA last year. Highest CTC up at INR 28 LPA from INR 26 LPA last year. 62 Recruiters made offers in Placements 2019. More than 31% of recruitment offers were made in the BFSI sector. The flagship Post Graduate Programme in Management (PGPM) at IIM Shillong witnessed the completion of final placements for its largest batch of 2017-19. The Institute recorded Average CTC of 16.79 LPA witnessing a significant increase of 8.3% over the last year. The recruitment drive saw participation from 62 recruiters in various domains such as Consulting & Strategy, Finance, General Management, IT & Analytics, Operations & HR and Sales & Marketing. The placement season saw participation from a total of 62 recruiters. The top recruiters at IIM Shillong are some of the biggest names in the industry, including Accenture, Deloitte USI, GroupM, ICICI Bank, Infosys, JP Morgan & Chase, Amazon, Cognizant Business Consulting, Nomura Investment Bank, Northern Arc, TATA Motors, TATA Steel, Ujjivan Small Finance Bank, RBL Bank, ShopClues, Stellium Consulting, and ValueLabs. IIM Shillong hosted many first time recruiters including Bain Capability Network, Carwale, eClerx, EY, Essar Group, Bajaj Finserv, Basix Sub-K, Freudenberg, GMM Pfaudler, Landmark Group (Splash), Markets & Markets, Maruti Suzuki, Ola Cabs, HDFC Bank, Henkel, OYO, RECL, Stellium Consulting, TresVista, Trident, Ultratech Cement, UnitedHealth Group, TAFE, TATA Power, Tredence, Vedanta, Xiaomi and Zenoti. The PGP 2017-19 batch also bagged PPI/PPO opportunities from Amazon, Barclays, Berger Paints, Aditya Birla Group, Deloitte USI, Fidelity Investments, Muthoot Group, Nomura Investment Bank, Piramal, ICICI Bank, ITC, Mahindra GMC, Reliance Industries, Rivigo, TATA Motors, TATA Steel, Titan, Wipro and Yes Bank. Sales & Marketing continued to be the highest paying domain, accounting for more than 25% of the total offers received and the Highest CTC offered in this domain stood at INR 28 lakhs. Recruiters such as Amazon, TATA Motors, TATA Steel, Titan, GroupM, Infosys, ITC, Piramal, TAFE, ValueLabs and Wipro continued to bestow their faith and recruited in large numbers. Bajaj Finserv, CarWale, Freudenberg, GMM Pfaudler, Henkel, ICICI Prudential Life Insurance, Kishlay Group, Landmark Group (Splash), Maruti Suzuki, OYO, Rivigo, and UltraTech Cement were amongst the first time recruiters. Consulting and Strategy emerged as the most sought after domain, accounting for 26.5% of the total offers made. Various roles were offered including Advisory, Business Development, Corporate Strategy, and Strategy & Operations. Cognizant Business Consulting, Deloitte USI, TATA Steel continued their association with the institute, offering coveted profiles to students while the first-time recruiters included Bain Capability Network, EY, Freudenberg, Henkel, RECL, and UnitedHealth Group. IIM Shillong has always been a preferred campus for the recruiters offering roles in the Finance domain. The Highest CTC in Finance domain has gone upto INR 20 LPA. More than 16% of the participants received offers in roles such as Investment Banking, Global Markets, Risk Management, Equity Research, Commercial Banking, Retail Banking, Corporate Finance, Market Analysis, and Trade Analysis amongst others. Barclays, Bajaj Finserv, HDFC Bank, ICICI Bank, and TresVista partnered with the institution for the first time. Prominent recruiters such as JPMorgan Chase, Muthoot FinCorp, Nomura Investment Bank, Northern Arc, RBL Bank, and Yes Bank continued to recruit in large numbers. 12.7% share in the placement was recorded in General Management domain. The Highest CTC stood at INR 25 LPA. The General Management domain observed increased participation from recruiters including Aditya Birla Group, Bajaj Finserv, RECL, Ujjivan Small Finance Bank, Essar Group, Mahindra GMC, and Xiaomi from various sectors such as Automobile, BFSI, Conglomerate, and Manufacturing. IT & Analytics domain witnessed participation from a host of prominent recruiters including Accenture, Fidelity Investments, ShopClues, Tredence, and Zenoti offering diverse roles such as Analytics Consultant, Business Analytics & Research, New Product Development, Tech Solutions among others. Operations was opted by around 8% students of the batch. Prominent recruiters from various sectors such as E-commerce, Analytics, Manufacturing, IT, Finance and Consulting offered coveted roles in Supply Chain Management, Program Management, and Catalog Management. Operations & HR domain witnessed participation from companies like Henkel, Ola Cabs, OYO, Tata Steel, and Vedanta offering prominent roles spanning across E-Commerce and FMCG sectors. Established in 2007, IIM Shillong is the 7th in the family of 20 IIMs. It is the only IIM operating and catering to 7 sister states of North Eastern India. IIM Shillong has acquired a prominent place in Indian Management education. The rising placement 2019 at IIM Shillong is a testimony to the growing popularity of IIM Shillong. 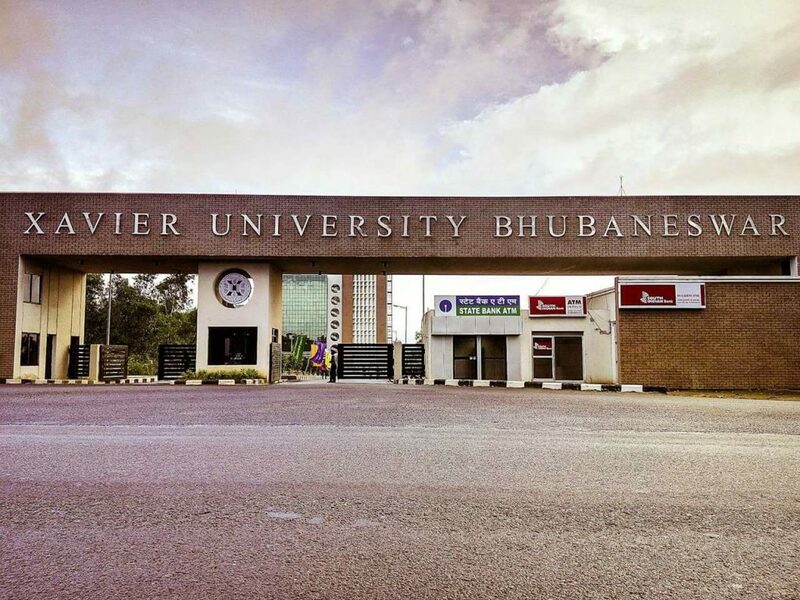 XAHR Summer Placements 2019: Xavier School of Human Resource Management (XAHR), offering the flagship MBA program in Human Resource Management, under Xavier University Bhubaneswar (XUB) has successfully concluded its Summer Placements, by achieving 100% internship placement for all 127 students for the class of 2020. This season witnessed students receiving offers from 58 companies across multiple industries including Manufacturing, IT/Analytics, Consulting, BFSI, FMCG, amongst the others. The Highest Stipend offered this year is INR 3 lakhs and the Average Stipend offered stood at INR 85,000 which accounts for a 12% increase from the previous year. The Median Stipend is INR 80,000 and the Average Stipend for the top quartile is INR 1.65 lakhs. Some of the leading companies that offered placements in XAHR includes Deloitte, Cognizant Business Consulting, Reliance, Capgemini, Vedanta, Godrej, ICICI Bank, ITC Limited, BPCL, TATA Advanced Systems, Envestnet Yodlee, UltraTech Cement, Siemens, Fujitsu, DIAGEO, DELL EMC, Asia Paints PPG, Collins Aerospace, Xpress Minds, Dr. Lal PathLabs, Boston Scientific, Welspun Group, Future Generali Life Insurance, Aditya Birla Capital, L&T, TATA Steel, ACG, and Dalmia Bharat Group, among others. The placements bear testimony to the high-quality education and training imparted at XAHR, and the level of preparedness that the students exhibit. The recruitment of students in varied roles across various sectors speaks volumes of the success of this institution over the years. Click here to know more about XIMB Summer Placements 2019. Average stipend of top quartile: Rs.1.65 Lakhs. Manufacturing Sector offered the highest number of placements (28%), followed by Consulting (25%) and IT/ITES (20%). Click here to know more about IIM Lucknow Summer Placements 2018-2020. Companies that took part in the XAHR Summer Placements 2019 from the BFSI sector included HSBC, ICICI Bank, Axis Bank, Royal Bank of Scotland, CRISIL, SBI Life, Future Generali, and Yes Bank. The roles offered in this domain included Customer Relationship Management, Underwriting and Business Development, front-end investment banking, global markets, investment research, corporate/wholesale/retail banking, market research, trading, and operations. Consulting firms such as Deloitte, PwC, Ernst & Young, SPI Group, Future Generali, ICRA made offers in this domain. Popular FMCG Companies included giants like Godrej, ITC, Emami, Asian Paints, Nestle, PPG, Britannia, Titan, BPCL, who extended offers in Business Development and Operations. Top recruiters in this domain included Microland, Tiger Analytics, Wipro, Tata Consultancy, ITC, Wildcraft, L’Oreal, Philips, Titan, Bajaj Auto, Tata Steel, L&T, Royal Enfield, Reliance Industries, Hero Motocorp, Polaris India offering varied roles to the students. Xavier School of Human Resource Management owes its origin to XIMB’s HR specialization program which began in the year 1987. The 2-year PGDM-HRM program was launched in 2011 which is now MBA-HRM, the flagship program of the Xavier School of HRM. At Xavier School of Human Resource Management, the main focus is on grooming highly effective and competent human resource professionals with a holistic understanding of business, society, and government. XAHR believes in empowering the students with knowledge, skills, and long-term vision that leads to innovation, service to the society and growth. It focuses on creating visionary, committed, competent, compassionate and value-based business leaders. IIM Trichy Placements 2019: IIM Tiruchirappalli has concluded the final placement for the Bath of 2017-19 with the Average CTC going up to INR 14.91 LPA as against INR 14.28 LPA last year. The Highest Domestic CTC has also gone up at INR 35.15 LPA from INR 31.70 LPA last year. 94 recruiters participated in the IIM Trichy Placements 2019 and made 170+ offers with diverse roles. 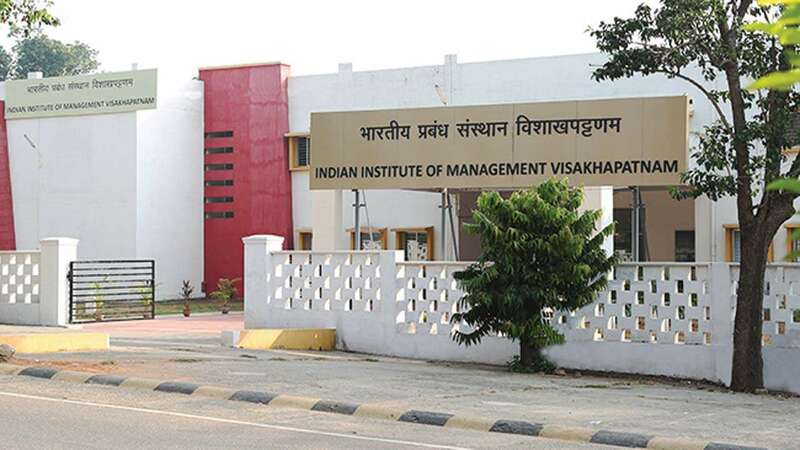 Out of the entire batch of 172 students, 2 students opted out of placement process and 170 students participated in IIM Trichy Placements 2019. IIM Trichy has achieved 100% placement record despite the large batch size. PGP Batch 2017-19 Size: 172 students, 2 opted out of placement process. Average CTC up at INR 14.91 LPA from INR 14.28 LPA as that of last year. Highest Domestic CTC up at INR 35.15 LPA from INR 31.70 LPA last year. 94 Companies made 170 offers. 80% increase in the number of PPOs offered over the previous year. 32% offers from Consulting & Analytics Domain. Top Recruiters included JP Morgan Chase, Deloitte, L&T, Cognizant, ICICI Bank, Avalon Consulting, and HCL. The IIM Trichy Placements 2019 touched new heights surpassing the industry expectations. There has been an increase in the average annual compensation by 4.42% as compared to last year. The Average CTC of the top 10 percentile increased by 22.86% whereas that of the top 25 percentile increased by 13.3%. There has been a 44% increase in the annual compensation above ₹20 lakhs in the overall offers this placement season. This year also saw a 80% increase in the number of PPOs offered over the previous year. In line with the emerging trends in the era of Industry 4.0, the notable roles offered across various domains were of Business Analyst, Financial Analyst, Risk Analyst, Product Management, Brand Management, Consulting among others. IIM Trichy Placements 2019 saw regular recruiters such as JP Morgan Chase, Deloitte, L&T, Cognizant, ICICI Bank, Avalon Consulting, HCL, TAFE, ValueLabs, GMR Group and UltraTech Cement and participation from new recruiters Shell, Amazon, GAIL, Zenoti, KPMG, Ernst & Young, Nilkamal, IDFC Bank, Ujjivan Financial Services among others. Recruiters offered coveted profiles across various domains such as Finance, Sales and Marketing, Consulting & Analytics, General Management, and Operations. Diverse profile offers were made to the IIM Trichy students during the placements 2019 by the recruiters. In Sales & Marketing Domain the offers were made for Campaign Manager, Digital Marketing, Sales Marketing Manager, Cluster Manager, Presales Consultant, Product and Brand Manager, and Regional Sales Manager. In Finance domain, offers were made for Asset Management, Corporate Wealth Management, Regulatory Capital Management, Finance Analyst, Group Investment Management, Relationship Banking, and Valuation. Consulting, Analytics and IT had multiple offers for roles as Account Strategist Business Strategist Corporate Strategy IT Consulting Management Consulting. The new campus of IIM Trichy is built on the land area of 175 acres at a cost of 772 crores and was constructed in a record 30 months. It is located at Trichy-Pudukkottai road near Chinna Suriyur village. The Hostels at Campus can accommodate 400 students and include staff and faculty residences as well as recreation club. Classrooms are designed to offer learning with an open mind. 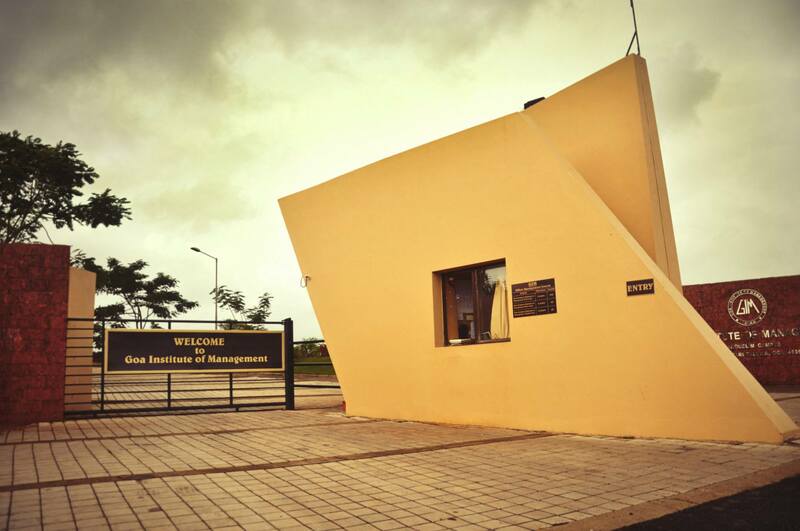 IIM Trichy, the 11th IIM in the country started functioning in the year 2011. The B-school is led by Dr. Bhimaraya Metri, Director, IIM Trichy. IIM Trichy since its inception has been constantly growing at an unmatched pace. The diversity in roles offered and increase in Average CTC shows the pragmatic pedagogy at IIM Trichy. This also shows the continuous hard work of both students and faculty to stay ahead and compete with the industry changes. The institute focuses on developing competent professionals for the industry. IIM Trichy’s flagship programme, PGPM has been instrumental in the achievement of this major goal. Hard Work, Perseverance, Passion and Integrity are some of the virtues taught at IIM Trichy. The institute has a collection of eminent faculty and motivated students which forms its backbone. Ensuring an optimal student-teacher ratio to encourage better learning experience and to impart appropriate guidance is the key USP of IIM Trichy. JBIMS Mumbai Placements 2019: Jamnalal Bajaj Institute of Management Studies (JBIMS) Mumbai has wrapped up its final placements for the batch of 2017-19 with a Higher Average CTC and more PPOs offered to the students. Highest Domestic CTC has gone up at INR 32.30 LPA and the Average CTC has also gone up to INR 20.13 LPA. Releasing the final placement report JBIMS Mumbai has shared that it has completed its final placement for the 2017-19 PGDM batch with 50+ recruiters that visited JBIMS Mumbai for campus placement 2019 which included 67 PPOs offered to the students. Highest Average CTC: INR 20.13 LPA. Highest Domestic CTC: INR 32.30 LPA. Average CTC drawn by top 10% of the batch: INR 29 LPA. BFSI continued to be the largest recruiter of this placements 2019. Around 37% of students from the batch of 2017-19 are fresher’s, while 30% have an experience of one to two years. JBIMS has again maintained its legacy of 100% placement with more offers and diverse profiles. Popularly known as the ‘CEO Factory’ and ‘Finance Campus,’ JBIMS Mumbai Placements 2019 saw a substantial rise in the number of PPOs offered to the students. Almost half of the batch of 2017-19 has been offered PPOs/PPIs. Out of the entire batch, there were 67 PPOs offered by the recruiters. Noteworthy companies like Abbott, Aditya Birla Group, Citibank, DBS Bank, AkzoNobel, Arvind Brands, Capgemini, Goldman Sachs, HSBC, HUL, ICICI Bank, IDFC Bank, JP Morgan Chase, JSW, McKinsey & Company, Medtronic, RIL, Standard Chartered, P&G, Piramal, RBL, Tata Motors, Tata Steel, Vodafone offered PPOs/PPIs to the JBIMS students. New recruiters in JBIMS Mumbai Placements 2019 included Anand Rathi, BOB Capital markets, Bristlecone, Crompton Greaves, Deloitte, DSP Blackrock, GSK, Hikal, India Ratings, IOCL, Jubilant Food Works, Livinguard, Piramal Enterprises, The Quarry, Pucho, Quality Kiosk, Sunteck, UltraTech Cement, ValueLabs. Banking Finance Services and Insurance (BFSI) sector topped the list by making 41% offers. Followed by Technology making 19% offers. Next was FMCG, Manufacturing, Consulting, and Conglomerates, E-commerce, IT and others also made multiple offers in diverse profiles. JBIMS Mumbai is one of the most preferred campuses for the recruiters and the incredibly successful placement season for the Batch of 2017-19 goes on to serve as a testimony of faith that the industry recruiters place on the quality of students of JBIMS Mumbai. The Batch of 2017-19 has candidates participating in campus placement 2019. The diversity of the batch is reflected in the fact that it possesses a good ratio of female students, alongside a good mix of engineers, pharmacists, entrepreneurs, physiotherapists, architects, commerce graduates comprising the best talent from across the country. To add on to their knowledge of business many students took up professional courses and certifications such as CFA, Master of Business Laws, FRM. Engineers with diverse experience in fields such as construction, shipping industry, social media, power sector, banking services and IT form the core of the batch. The versatile backgrounds of the students attracted diverse and niche profiles from different companies and industry giants. JBIMS Mumbai is a 50-year-old B-school that has produced many industry leaders who visit the institute regularly to share their practical experiences while climbing the ladder of hierarchy. This is the biggest advantage in view of the students, faculty and the corporate. JBIMS toppers are of the view that most of the visiting faculty members are corporate leaders who also happen to be the alumni of JBIMS Mumbai. These guest lectures give direct insight into what is happening currently in the industry and how it is expected to take shape in the near future. JBIMS is located in the heart of Mumbai in the Church gate area and this advantage will never fade as it is the centre of commercial activity. Education at JBIMS Mumbai is not limited to the conventional classroom experience. It is coordinated with vast industrial exposure. Students at JBIMS Mumbai find great merit while studying at the B-school and share that studying at JBIMS Mumbai is an altogether different experience. IIM Ranchi Placements 2019: IIM Ranchi has concluded the placements for the Batch of 2017-19 with higher salary packages at domestic as well as international level. Highest Domestic CTC has gone up at INR 26 LPA and the Average CTC has also gone up to INR 15.02 LPA. IIM Ranchi Placements 2019 are leaving behind its peers in grabbing high salary packages at the domestic as well as international level. International package at IIM Ranchi Placements 2019 has gone as high as INR 58 LPA for the third consecutive year busting the myth of economic slowdown with a rising trend in highest, average and median salary packages in Placement 2019. Releasing the final placement report IIM Ranchi has shared that it has completed its final placement for the 2017-19 PGDM batch with 88 companies that visited IIM Ranchi for campus Placement 2019 which included 58 new recruiters and made 181 total offers to the students. PGDHRM Batch of 2017-19 saw 39 recruiters which included 24 new recruiters offering placements to 63 students. Sales and Marketing continued to be the most preferred domain, with the highest number of offers being made in this domain. Students were offered profiles in domains like Consulting, Finance, Operations, IT & Analytics, and General Management. IIM Ranchi continued the rising trend in placements which was corroborated by an increase in the average compensation. The Highest CTC offered was 58 LPA as International package. The Average CTC for top 10% of the batch stands at 19.5 LPA respectively. The PGDM batch witnessed 88 companies including 58 new companies visiting the campus. 181 offers were made. IIM Ranchi is the only IIM to offer a specialized 2-year course in Human Resource Management (PGDHRM). The course is designed by NHRDN and is continuously updated with the help of top academicians and industry experts. PGDHRM 2017-19 batch of IIM Ranchi has 63 students as against 51 students last year. Students who participated in placement 2019 made their worth felt in the industry by bagging top offers from some of the biggest names in the country. 39 companies visited the campus to roll out offers to the HR students. Out of them, there were 24 new recruiters who participated in the placement process. Average CTC for PGDHRM 2017-19 batch has increased to INR 14.52 LPA. The highest CTC stood at INR 21 LPA. Accenture, Cognizant, Federal Bank, GAIL, ICICI Bank, GMR, IBM, RPG, Wipro, CCIL, JP Morgan Chase, Muthoot Fincorp, RBL Bank, Yes Bank, Bharat Forge, Cummins, DS Group, L&T, Bosch, TATA Steel, TATA Trusts, Tolaram Group, Vedanta, Berger Paints, Cadila, Emami, Google, Hindware, HP, ICICI Lombard, Maruti Suzuki, Samsung, Sony Pictures Network, Cognizant, Photon, Infotech among others. Diverse profile offers were made to the IIM Ranchi students during the placements 2019 by the recruiters. In Sales & Marketing domain the offers were made for Campaign Manager, Cluster Manager, Digital Marketing, Sales Marketing Manager, Presales Consultant, Product and Brand Manager, and Regional Sales Manager. In Finance domain, offers were made for Asset Management, Corporate Wealth Management, Finance Analyst, Group Investment Management, Regulatory Capital Management, Relationship Banking, and Valuation. Consulting, Analytics and IT had multiple offers for roles as Account Strategist Business Strategist Corporate Strategy IT Consulting Management Consulting. In Operations and General Management offers were made for Business Process Manager, Customer Success Manager, Delivery/Program Management Procurement and Strategic Sourcing Project Management Relationship Manager Supply Chain Management. Offers were made to PGDHRM students on Compensation & Benefits, Employee Relations, HR Analytics, HR Business Partner, HR Consultant, HR Operations, Industrial Relations, Learning & Development, Performance Management, and Talent Acquisition among others. 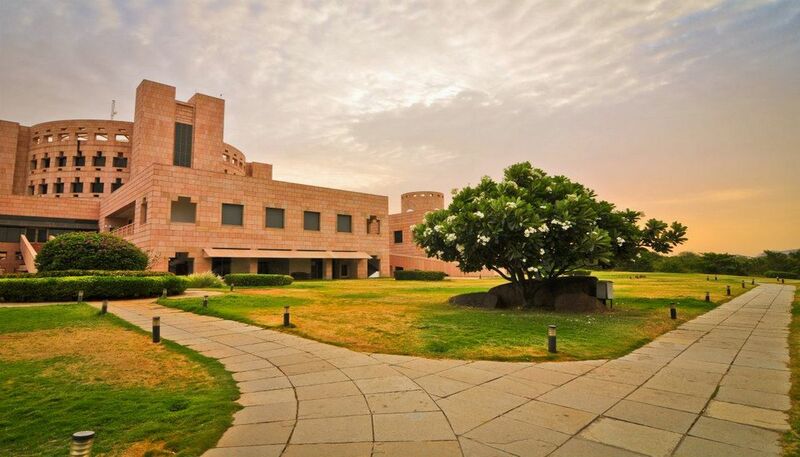 IIM Ranchi was established in 2010 and is the 9th in the IIM Family. IIM Ranchi is the only IIM offering a specialized PGDHRM course. The B-school currently offers a 2 year PGDM in General management and 2-year full-time programme on Human Resources Management (PGDHRM), Fellow Program in Management and 18 month part-time Diploma in Management (PGEXP). IIM Ranchi has also launched a certified Barefoot Manager program to promote entrepreneurship and to impart livelihood skills among the school dropouts and illiterates. GIM Goa Placements 2019: Goa Institute of Management (GIM), one of the leading B-Schools in India has achieved 100% placements for the Batch of 2017-19 with Highest Average CTC of INR 11.40 LPA as compared to INR 10. 61 LPA last year. Highest Domestic CTC has also gone up to INR 24.37 LPA this year as compared to INR 20 LPA last year. GIM has also witnessed International recruiters visiting the campus for GIM Goa Placements 2019. With year-on-year growth in the Placements, GIM Goa continues to improve on its best. Given the strong response from recruiters, this year GIM Goa is again poised to script a strong ending to its PGDM, PGDM (HCM), and PGDM (BDA) placement 2019 initiatives. Average CTC up at INR 11.40 LPA from INR 10.61 LPA as that of last year. Highest Domestic CTC offered goes up at INR 24.37 LPA from INR 20 LPA. 58% students of the Batch receive placement offers above INR 10 LPA. 26% Rise in PPOs/PPIs in GIM Goa Placements 2019. 120 Companies participated in the GIM Goa Placements 2019. Average CTC of Top 20 Percentile is INR 18.80 LPA. Average CTC offered to the top 50 students stood at INR 15.60 LPA. International Recruiters like Diageo, Enhance Group took part in the GIM Goa Placements 2019. Goa Institute of Management (GIM) demonstrates healthy growth in PGDM, PGDM in Healthcare Management (HCM), and PGDM in Big Data Analytics (BDA) placements for the Batch of 2017-19. Average CTC for the top 20 percentile has gone up to INR 18.80 LPA and for the top 50 students the Average CTC has gone upto INR 15.60 LPA and for top 100 students the Average CTC has increased to INR 13 LPA. Marquee companies like Accenture, EY, Wipro, Deloitte, Godrej, GEP, ITC, Reckitt Benckiser, IBM, Zee Media, HP, Big FM, HSBC, Barclays, Piramal, Mahindra, Grand Thomton, Neilsen among others have hired from PGDM Batch 2017–19. This year also witnessed international recruiters visiting the campus for placements. Companies like Diageo and Enhance Group (Oman) have shown their preference for GIM Graduates. GIM Goa students were offered roles and responsibilities in diverse areas ranging from Research, Analytics, Finance, Consulting, Digital Operations, HR, Quality, & E-commerce to Pharma, Healthcare, and Media. The BFSI sector saw many reputed recruiters continuing the long-standing association with the institution. 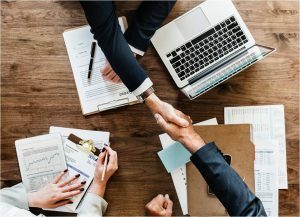 Marquee recruiters including HSBC, ICICI Bank, Barclays, Nomura, and Yes Bank offered coveted profiles such as Business Analyst, Internal Audit, Financial Operations, Global Finance, Product Efficiency, Liabilities, and Product Management. GIM Goa has always been a sought-after campus for numerous FMCG giants whose faith in the institute is supported by the multiple profiles offered by them in IT, Operations, and Sales & Marketing. This year, the institute saw participation from industry stalwarts such as Asian Paints, Britannia, Marico, Mondelez, Nestle, and Pidilite. Prominent recruiters in consulting and technology includes Accenture, EY, Wipro, Deloitte, Godrej, GEP, ITC, Reckitt Benckiser, IBM, Zee Media, HP, and Big FM,. Recruiters offered profiles in Business Analytics, Management Consulting, Procurement Consulting, and Product Management. A cohort of companies in the manufacturing sector continued their ongoing relationship with the institute by hiring aggressively during the placement process. Industry leaders including Cummins, Piramal, Tata Motors, and Whirlpool offered multiple profiles across Operations, Sales & Marketing, and Strategic Sourcing. Following the trend of the previous years, the institute witnessed an increased participation from regular recruiters like Mahindra, Grand Thomton, Neilsen, who offered profiles in departments such as Business Development, Commercial, Sales & Marketing, and Strategy. GIM Goa has consistently focused on diversity, pedagogy, and the curriculum led by innovative programs like Give Goa and Campus Connect. GIM’s competitive edge is also enhanced through International linkages and Centers of Excellence that focus on research, social sensitivity, creativity, and entrepreneurship. GIM is among the 13 institutes chosen by NITI Aayog to set up the Atal Incubation Centre. The Goa Institute of Management, is one of the premier management schools in the country. Since its inception in 1993, GIM has systematically built a rich learning environment through the engagement with academia, industry and alumni. The Goa Institute of Management was established by Fr. Romuald D’Souza supported by a team of professionals and industrialists. The B-school has risen to one of the best management schools in the entire country. GIM has established its new campus in Sanquelim. 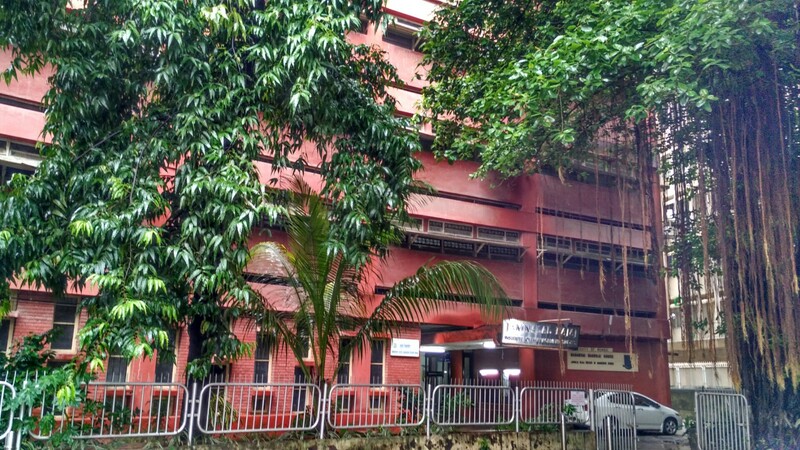 The Ribandar campus of GIM houses the PGDM-PT course and the Healthcare Management programme. 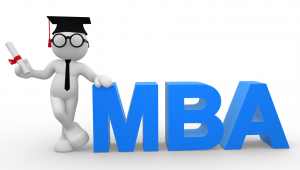 How to choose your MBA Specialisation? 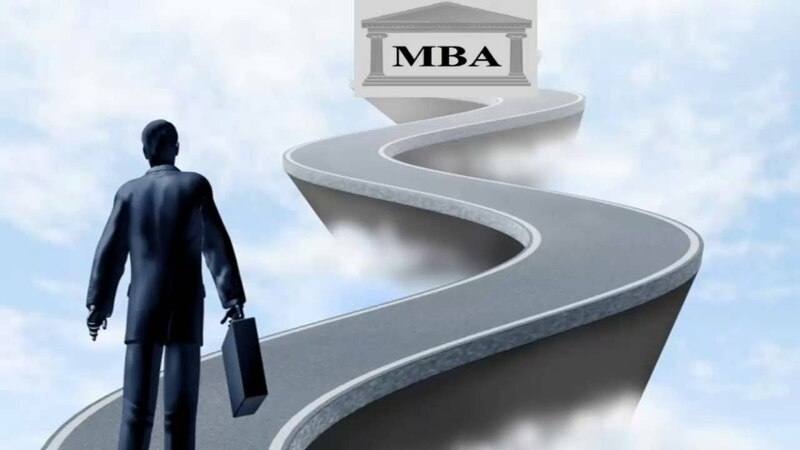 Click here to know more about MBA Colleges in India with Low Fees. Product: Identification, selection, and development of the product. Place: Selection of distribution channel. Marketing Sales Manager, Sales Architect, Business Analyst, Retail Marketing Associate, Social Media Manager, E-mail Marketing Manager, Social Advertising Executive, Marketing Designer, Marketing Analyst. Click here to check MBA Admissions 2019-21 Micro Presentation Topics. Finance Investment Banking, Asset Management, Hedge Funds or Private Equity, Portfolio Management, Credit Risk Management, Derivatives. Click here to know more about MBA PI Preparation. Human Resource HR Generalist, Staffing Manager, Technical Recruiter, Compensation Manager, Employee Relations Manager, Employment or Placement Manager, HR Training and Development Manager, Organizational development and change consultant. Click here to check MBA Interview Preparation Tips. Information Management Systems Data Analyst, Data Scientist, Database Administrator, Information Systems Manager, IT Consultant, IT Technical Support Officer, Systems Analyst, Information Security Manager, Technical Support Specialist, Application Analyst. Click here to know more about GD Topics for MBA. Procurement Manager, Plant/Facility Manager, Logistics/Distribution Manager, Warehouse Manager, Supply Chain Manager, Project Manager, Sales Operation and Production Manager. Click here to know more about B-School Placements 2019.
International Business Export Managers, Business Development Manager, International Finance Manager, Business Consultant, International Marketing Manager, Brand Manager, International Logistics Manager. Click here to know more about WAT Conducted by IIMs. Your Strengths: Every student has some strength. Identify your strengths and analyze the fields you are good at. Choose your MBA Specialisation based on your personality traits. Subjects in specialisation: Before opting for any specialisation, analyze the contents covered in each specialisation. This will help you in choosing the right specialisation and developing specific skills. Placements: Get information about the salary packages of your institution for every specialisation. But, do not let the salary be the only criteria. If salary packages are high for particular specialisation but you are weak in that area, do not choose it as you will never enjoy your job. Number of Companies: Know about the number of companies visiting your institution for recruitment in a particular specialisation. If the number of companies visiting for a particular specialisation are more, then the chances of getting jobs in that specialisation are also high. Each specialisation has its own benefits. Choose the specialisation based on your interests and skills and be assured of the fact that whatever specialisation you choose will require considerable hard work to excel and succeed in the job and to become a successful business leader.